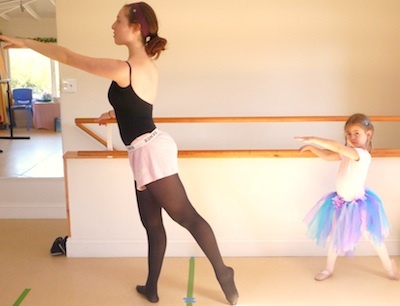 This ballet class is designed to give your young child a wonderful introduction and strong foundation in classical ballet technique with an emphasis on musicality, rhythm, and placement. In this class, students will refine their skills in marching, skipping and leaping, and learn short ballet combinations and choreography. This class is appropriate for children new to ballet and those with previous ballet experience. Ballet Dress Code for Children’s Studio Classes. There is an annual non-refundable administrative fee for new and continuing families—$25 for the 1st student and $25 for any additional student with a family maximum of $50.